This year marks the 100th anniversary of the birth of Catholic mystic, monk and spiritual writer Thomas Merton. Though Merton died almost 50 years ago, his life and legacy have continued to intrigue and inspire believers of many faiths. Throughout 2015, universities, colleges, meditation/retreat centers and other organizations will mark the centennial with conferences, lectures, art exhibits and dance and music performances expected to draw many thousands. Events are slated for the U.S., Ireland, Italy, Australia, France, England, Brazil and more. A subject of interest at many of the centennial events — both onstage and off — is sure to be how to keep Merton relevant for the next hundred years. Scholars, clergy and others will ask: What does a long-dead, celibate male monk have to say to a generation that, studies show, is increasingly less religious? 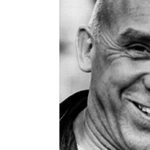 What, if anything, can Thomas Merton, whose birthday is Jan. 31, 1915, teach us today? Born in France, raised in Queens, N.Y., schooled in England and cloistered in Kentucky, Merton was always a seeker. Raised as an agnostic, by his student years he found himself increasingly drawn to Catholicism. Once he became a priest, he was drawn deeper into contemplation, prayer and the desire to live in a religious community. In 1941 — days after the bombing of Pearl Harbor — Merton entered the Abbey of Gethsemani near Bardstown, Ky. He spent the war years there, writing almost every day, and finally taking vows in 1947. One year later, he published his spiritual memoir, The Seven Storey Mountain. With it came celebrity, both for him and for the Abbey of Gethsemani, and a growing interest among Americans in monasticism and contemplation. The book sold more than 600,000 copies in the original hardcover and was translated into 15 languages. It is still in print. In the next 20 years, Merton wrote more than 70 books — poems, memoirs, prayers, explorations of contemplative practices. He was attracted to many forms of contemplation and studied and wrote about its forms in Buddhism, Hinduism, Jainism, Taoism and Sufism. He was a champion of peace, social justice, civil rights and interfaith relations. He died while attending an interfaith conference in Thailand between Catholic and non-Catholic monks. He is buried at the Abbey of Gethsemani, which works to preserve his memory and legacy, and his papers are stored at Bellarmine University in Louisville, Ky. There are many Thomas Merton centers dedicated to contemplation, spirituality and peace around the country. Read “Merton (Still) Matters: How the Trappist monk and author speaks to millennials” by Daniel Horan in the January 19-26, 2015, issue of America. Read “Catholic writer Thomas Merton: Holy and oh-so-human” by Margery Eagan writing for Crux on Jan. 7, 2015. Read “A Friendship, A Love, A Rescue,” a Jan. 7, 2015, essay by Parker J. Palmer about the impact reading Merton’s book The Seven Storey Mountain had on Palmer’s work. The essay appears on the blog On Being. Read “Merton discussions challenge prisoners’ minds, foster their prayer life” by Tanya Connor writing for Catholic News Service on Nov. 22, 2014. Read “Among the ‘Progressed’” by George Weigel, writing for the journal First Things on Aug. 24, 2011. Read a 1998 story about the 50th anniversary edition of The Seven Storey Mountain. Robert Giroux, the book’s original editor, wrote the 1998 piece for The New York Times. The Thomas Merton Center at Bellarmine University in Louisville, Ky., maintains a bibliography of Merton’s work. The International Thomas Merton Society has a list of local chapters around the U.S. and around the world with the names of their organizers and contact information. Regent College in Vancouver, British Columbia, will hold a Thomas Merton Symposium on Jan. 29, 2015. The International Thomas Merton Society will hold a conference, “Merton 100: Living the Legacy,” at Bellarmine University in Louisville, Ky., June 4-7, 2015. A list of topics and speakers can be found here. St. Bonaventure University in Bonaventure, N.Y., will hold a Thomas Merton Conference June 19-22, 2015. A list of conference speakers and topics of discussion can be found here. The Thomas Merton Society of Great Britain and Ireland will host a variety of special events in the spring of 2015 to mark the centennial of Merton’s birth. Morgan Atkinson is a documentary filmmaker whose third film on the life of Thomas Merton, The Many Storeys and Last Days of Thomas Merton, will be released later this year and will cover the last year of Merton’s life. Atkinson’s previous films, including Soul Searching: The Journey of Thomas Merton, have appeared on PBS nationwide. He is based in Kentucky. Contact via Kelly Hughes, DeChant-Hughes & Associates. Christine M. Bochen is a professor of religious studies at Nazareth College in Rochester, N.Y. She is a founding member and past president of the International Thomas Merton Society and co-editor of The Thomas Merton Encyclopedia. Patrick G. Coy is a professor of political science and director of the Center for Applied Conflict Management at Kent State University in Kent, Ohio. His specialties include religion and politics. Among his research projects are the philosophy of nonviolence of the Catholic monk Thomas Merton and a comparative analysis of the religious rhetoric used by President George W. Bush to support war and the religious rhetoric of the U.S. peace movement to oppose war. Coy has served on the council of the International Peace Research Association. Kathleen Deignan is a Catholic nun, theologian, singer, composer and Merton scholar. Many of her compositions are based on the writings of Merton and are recorded by Schola Ministries in Washington, D.C. She has served on the board of directors of the International Thomas Merton Society. Paul Elie is a senior fellow with the Berkley Center for Religion, Peace and World Affairs at Georgetown University in Washington, D.C., and director of the American Pilgrimage Project. He is an expert on religion in literature, the arts and media. He is the author of The Life You Save May Be Your Own: An American Pilgrimage, a group portrait of the Catholic writers Flannery O’Connor, Walker Percy, Thomas Merton and Dorothy Day. Elie blogs at Everything That Rises. Daniel P. Horan is the author of The Franciscan Heart of Thomas Merton and a columnist for America magazine, where he recently wrote an essay about why Merton still matters, especially to millennials. He blogs at Dating God. He is a Franciscan monk based in Boston. The Rev. James Martin is a Jesuit priest and editor at large at America magazine in New York. His books include Building a Bridge: How the Catholic Church and the LGBT Community Can Enter Into a Relationship of Respect, Compassion and Sensitivity. He is also the author of Becoming Who You Are: Insights on the True Self From Thomas Merton and Other Saints. Jonathan Montaldo is one of the foremost Thomas Merton scholars and interpreters of his writings. Montaldo has served as associate director of the Merton Institute for Contemplative Living, director of a retreat center near Merton’s Abbey of Gethsemani and director of the Thomas Merton Center at Bellarmine University. Montaldo is also editor of the 10-volume Bridges to Contemplative Living With Thomas Merton. He continues to lead retreats and conduct workshops on Mertonian spirituality. He is based in Philadelphia. Parker J. Palmer is a Quaker elder, educator, activist and founder of the Center for Courage & Renewal, an organization that fosters leadership skills. He wrote about the impact reading Thomas Merton had on his life and work for the blog On Being. Contact via the Center for Courage & Renewal in Seattle. Palmer lives in Madison, Wis.
Cristóbal Serrán-Pagán y Fuentes is an associate professor of philosophy and religious studies at Valdosta State University in Valdosta, Ga. He is leading a daylong celebration of Thomas Merton and the Spanish mystics Teresa of Avila and John of the Cross as part of the Thomas Merton Center at Bellarmine University’s 100th anniversary celebration of Merton’s birth. Gary Hall is a Methodist presbyter who teaches practical theology at the Queen’s Foundation for Ecumenical Theological Education in Birmingham, England. He has written widely about Mertonian spirituality and will lead a guided retreat based on Thomas Merton’s spirituality as part of the yearlong celebration of Merton’s centenary. Contact: g.hall@queens.ac.uk, 0121 452 2627. Jens Zimmermann is a professor of English and modern languages at Trinity Western University in Langley, British Columbia, where he holds the Canada Research Chair in Interpretation, Religion and Culture. He will lecture on Thomas Merton’s humanism at Regent University’s Thomas Merton Symposium. Contact via Jennifer Watton, TWU’s media relations officer. Contact: media@twu.ca, 604-513-2027 ext. 3341.